Materials, ranging from woods and steels to plastics, are supplied in standard sizes. Designers / architects generally start with standard widths, lengths and depths etc... and develop their plans from the materials that are available. As materials are supplied in standard sizes, ordering is easier, as sizes are published in catalogues or on company internet websites. Buildings are usually constructed from materials supplied as standard sizes(bricks, timber, glass). It is rare for a building to be built from non-standard/individual sizes, unless it is an individual, innovative design. 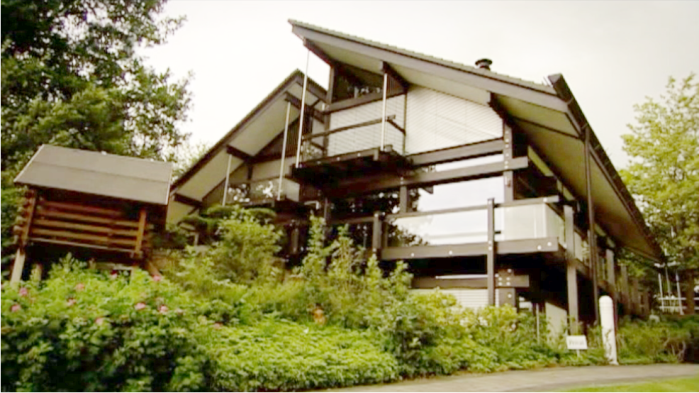 The German designed and built ‘Huf Haus’ is an excellent example of component based house construction. 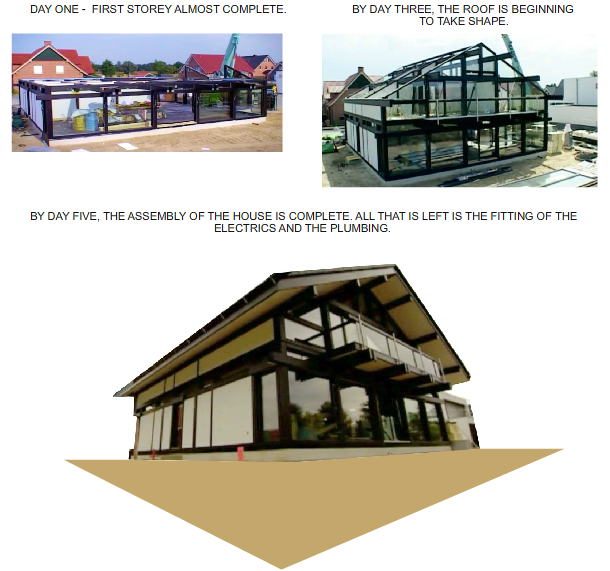 The Huf Haus is a Prefabricated House, built in the factory as a flat pack and reassembled on site. This type of house is built on an industrial scale. The design was inspired by the Bauhaus designers of the 1920s, who approached design through functionality and simplicity, combined with aesthetics. With the Huf Haus, emphasis is placed modern design and a distinctive style. Each house is constructed from standardised components and are essentially a beam and post structure. The beams form the framework on to which all other components are fitted. There are no internal weight bearing walls to restrict the internal layout. This frees up internal space, so that there are a variety of layouts. The emphasis on glass, is another distinctive feature of modernist buildings. Although these houses are built from standardised components (another feature of modernist design), architects ensure that every house is different and individual. The basic structure of every house is the same, but each house is designed to fit its environment and this varies, depending on the location. Distinctive wooden beams form the main structure. The wall panels are designed to fit together when they arrive on site. Standard fittings are used on all the Huf Haus designs. The wall panels have a series of pipes and cavities, that will eventually carried electrical wiring or pipes for plumbing/heating. Another distinctive feature of this style of house, are the large double or treble glazed windows (often seen in modernist buildings) . Using standard, factory built components has one major advantage, when the building is being assembled on site. It only takes about a week for the major construction work to be completed. Fixings including nails, screws, nuts and bolts are manufactured to exact standards (sizes). This allows furniture manufacturers and the construction industry to purchase fixings in large numbers, with the knowledge that all the fixings are exactly the same. This speeds up 'construction', as standard sizes of materials are combined with standard fixings, producing the final product.